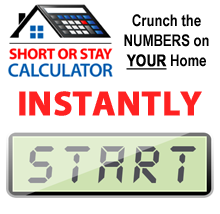 Are you interested in doing a short sale but aren’t sure if you qualify for one or not? Any short sale expert in the San Diego area can help you assess your situation and determine if you qualify and if a short sale is right for you, but here are a few basic guideline to help you get started. When short sales first came about five or six years ago, most lenders required a verifiable hardship in order for a homeowner to short sale their property. These hardships were along the lines of unemployment, divorce, income reduction, death or illness in the family, or a job relocation. While these hardships still apply and are legitimate for doing a short sale today, one of the main reasons most homeowners area choosing to short sale in 2012 is because their home is worth much less than what they owe on it. Lenders are now accepting this as a legitimate hardship because it’s become a very common issue across the entire nation. There are often times where homeowners aren’t even behind on their mortgage but are still qualifying for a short sale because they are so underwater on their home. If any of the previously mentioned situation applies to you, chances are that you would qualify for a short sale on your property. Again, to find out more information about specific terms and conditions in regards to who your investor and lender are, contact a San Diego short sale expert for more information. There are also many different reasons not mentioned that lenders are willing to consider as a hardship, so it’s still important to talk to a short sale specialist and obtain more information if you need to get out of your home as quickly as possible. By working with the right expert, they can help you to successfully short sale your home so you can begin a new chapter in your life.